Two church-ladies-turned-sleuths are sure to raise more than a little hell when they decide to make crime-solving miracles in this hilarious new novel. . . They've been laid off, they're broke, and their faith is really being tried. But dedicated Mount Kneel Down Baptist Church members Patience Kash and Joy Karry figure now is the perfect time to pursue their other true calling--becoming private detectives. And if that means putting up with their thug-wannabe cousin Porky's delusions while hilariously interfering with their famous detective godson Percy's investigations, it's still a heaven-sent opportunity to hear all the town dirt and find customers. . . 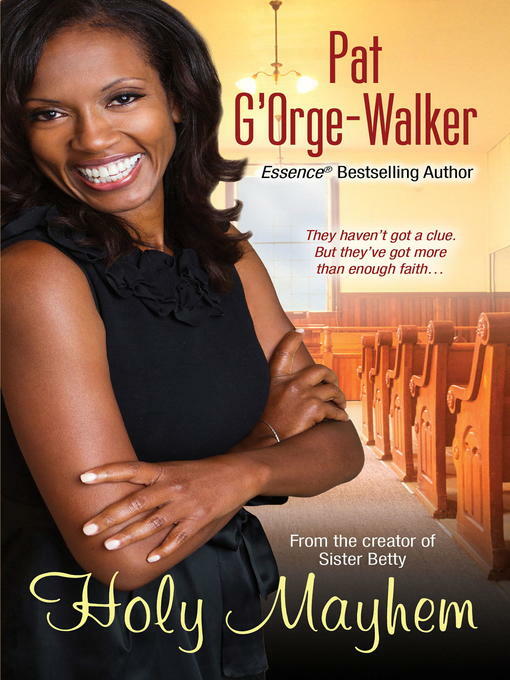 When a thief steals the prized family Bible right out from under Porky's nose and church funds are missing on Patience's watch, these sisters-in-God find themselves sleuthing out the strangest family and church secrets--and up against someone more than ready to send them to their heavenly reward. Now, they'll need their most inspired hunches, their not-real-fierce dog Felony, and their license-to-missionary to uncover the truth and crack this holy case. . .